Barton Veterinary Hospital is proud to be one of the seven centres in the UK to offer radio-iodine treatment and we certainly believe we are the most experienced one, having now treated more than 1,000 cats. We have had a major refurbishment in 2009 and are now able to treat even more cats in our brand new special unit. We normally have a short waiting list and offer a friendly service. Radio-iodine is the treatment of choice for feline hyperthyroidism and the only one to cure the disease in 98% of cases. If you are interested by radio-iodine treatment for your cat, please contact your vet to be referred to us. If you are wondering about referring a case to us or have any question regarding suitability of a case, please contact us. Tina is our dedicated receptionist and can answer your questions regarding the treatment, cost and practicalities. 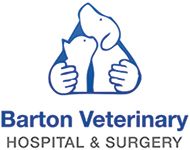 Please phone us on 01227 765522 or email reception.barton@cvsvets.com.